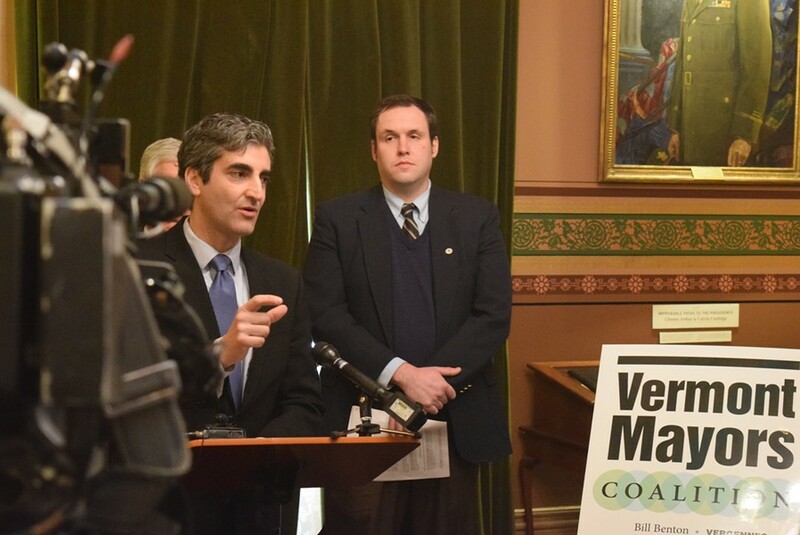 Burlington Mayor Miro Weinberger speaks earlier this month at the Statehouse. Burlington residents two years ago approved three gun-control measures, including a ban on firearms in city bars. But last year, state lawmakers dismissed the proposed change to the city’s charter needed to make the ban take effect. Now, there’s a push to try again. “It’s certainly by far and away the will of the Burlington voters,” said Rep. Mary Sullivan (D-Burlington), who is among those championing three bills in the legislature that contain the items Burlington voters overwhelmingly approved. Sullivan and other Burlington House members have won a daylong hearing next Thursday before the House Government Operations Committee. 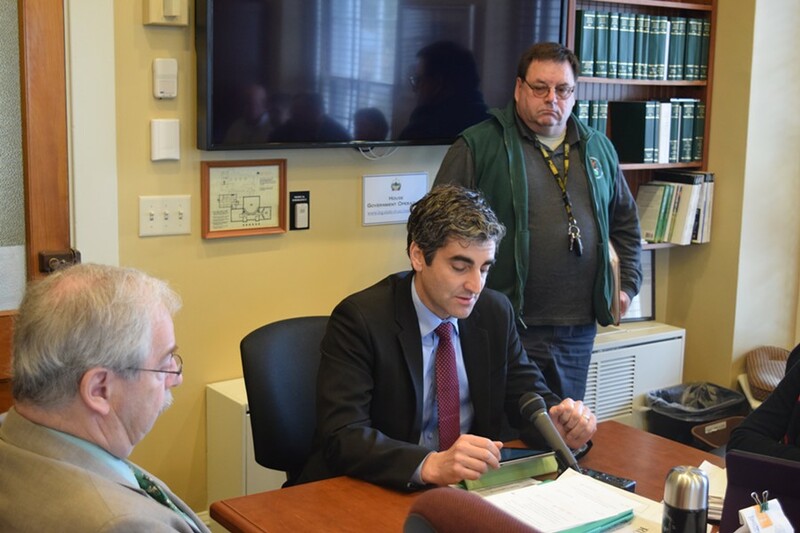 Mayor Miro Weinberger is lobbying for support of the measures, citing renewed need after a fatal shooting outside the Zen Lounge in downtown Burlington in December. The Burlington City Council this month passed a resolution urging the Legislature to reconsider the issue. “I’m going to push hard,” Weinberger said, while visiting the Statehouse last week. He has the backing of Vermont’s seven other city mayors. Though the Vermont Mayor’s Coalition has not taken a stance on Burlington’s charter changes themselves, the group made a statement in support of the city’s right to do what it believes is necessary to protect public safety. Sullivan said support for the changes is growing in the House. Rep. Joanna Cole (D-Burlington) said the number of co-sponsors has grown from 12 to more than 25. Despite the renewed push, the changes to Burlington’s charter still have a steep hill to climb. Last year, Sweaney’s committee dismissed the charter changes as constitutionally questionable and never sent them to the House floor for a vote. Vermont law contains a Sportsmen’s Bill of Rights that prohibits municipalities from regulating firearms. Smith, a lawyer, said he continues to see that as a barrier to Burlington’s charter changes. Weinberger disagrees, arguing that Burlington’s desire to protect the public’s safety has nothing to do with sportsmen. But Burlington will get a hearing on the issue. Sweaney said next Thursday’s committee meeting will be almost like a public hearing, with the panel listening to those who sign up to testify. The city has rewritten last year’s charter change bills, so they are not identical to the bills that failed last year, though they seek to accomplish the same goals. In addition to banning guns in bars, Burlington voters are asking to allow police to confiscate guns in domestic violence cases and require residents to lock up guns when not in use. Among the issues Sweaney’s committee will consider, she said, is whether a municipal charter change can legally have a second try in the legislature without a new vote by the community. Sweaney, who’s been in the legislature since 1997, said she doesn’t think that’s happened before.